The Chargers ended a disappointing season in the same way, losing to the Chiefs 37-27 in what might be the Bolts’ last game at Qualcomm Stadium. The Chargers kept pace in the first half but still trailed 20-10 at the end of it. Antonio Gates recorded his 111th touchdown, tying Tony Gonzales for the all-time mark for a Tight End. San Diego came within three points after a 90-yard interception return by Jahleel Addae at the start of the third quarter. However, it would be the closest they’d be for the rest of the game after Kansas City scored two touchdowns in the last four minutes. The Chargers put a field goal and a touchdown on the board in the fourth, but still couldn’t catch their division rivals. 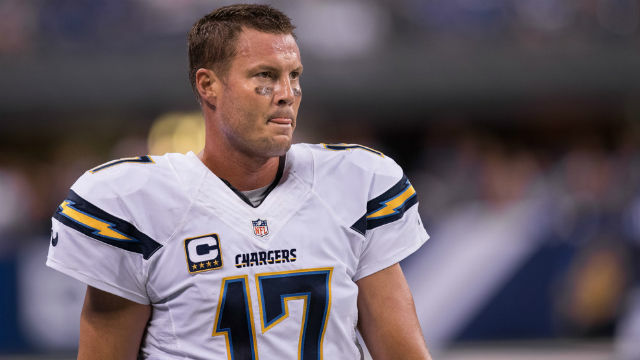 Phillip Rivers ended with two touchdowns and interceptions apiece while throwing for 269 yards. In addition, the loss was the last of former head coach Mike McCoy’s career; he was fired immediately following the game. In the end, San Diego finished with a 5-11 record, good for fourth place in the AFC West.